The twentieth century has been a century of war. It began with the Boer War in South Africa and ended with the Gulf War in Kuwait and Iraq. This tragic legacy suggests that citizens of the twenty-first century have a shared responsibility to attempt to understand how and why these conflicts occurred and to discover how peace efforts contributed to the resolution of international conflicts. The work of understanding, conscientiously conducted, must draw on primary sources of many kinds, including oral histories, newspapers, contemporary journals, government documents, regimental histories, and archives. Archival resources provide us with a direct link to the past. We present here a wealth of archival materials for students, researchers, and all who seek a better understanding of the past in order to comprehend and guide the decisions of the future. Our site includes almost 3000 records, organized around some 50 case studies. As well as a timeline to provide chronological context, some of the case studies include audio or video, and we have transcribed many of the original materials for easier reading. We invite you to explore Peace and War in the 20th Century. It has been said that peace is not merely the absence of war but the presence of justice. We have used the term "waging peace" here to reflect the active engagement of so many who have committed themselves not merely to the prevention of military conflicts but also to the work of constructing a more just society. As well as the theme of war resisters we present case studies of those involved with peace movements in general and with nuclear disarmament in particular. Another theme focuses on those who insisted on telling the truth in militaristic times and we include a special theme highlighting the work of women for peace. An exploration of this section of our site will provide ample evidence to support our use of the activist term "waging peace." We have attempted to make this segment of our website as wide-ranging and comprehensive as possible. Our chosen themes range from the Home Front to a widely varied presentation of the Soldier's Life, both in the trenches and away from the battlefield. Nor have we ignored the unfortunate Civilians Caught up in War or the role of women, the focus of our Women and War theme. The new technologies of warfare receive attention in themes concerned with Mapping and Photography and in Strategy, Sabotage and Spying. There are also two themes with a particular geographical focus: the always volatile area of the Middle East during the First World War and the less volatile but important City of Hamilton, the city where this project has been developed. While war in all its wasteful atrocity is fully represented in the Soldier's Life -- in Life at the Front, for example, you will be able to hear audio of the exchange of letters between a doomed youth and his sweetheart -- we have not ignored the creative side of military conflict: themes on the Soldier Artist and Poet and on Representing War convey some sense of the enduring nature of the human spirit. This interactive, thematic website on Peace and War in the 20th Century has been designed to be informative, educational and engaging. Its major themes have been organized into the opposing paths of Waging Peace and Waging War. Within the themes, case studies provide context and insights. 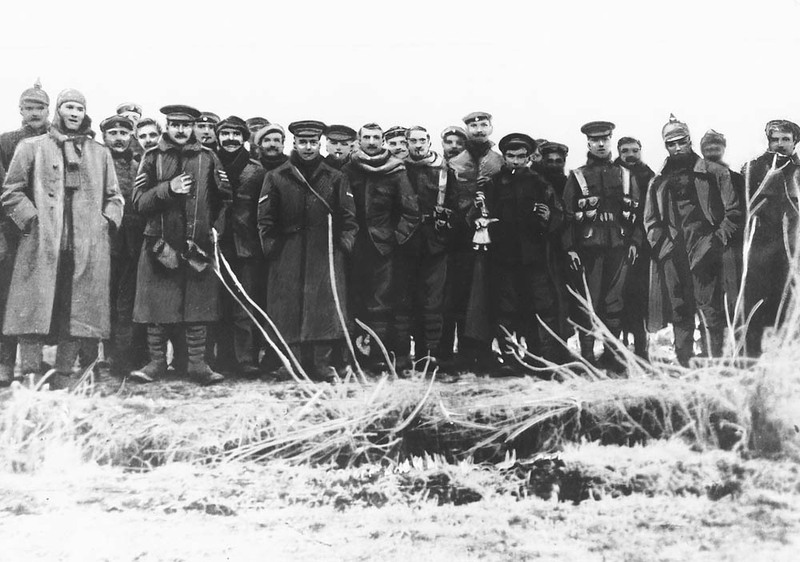 International conflicts are represented by the images and official records available in McMaster University Library’s archives. However, there are many collections of letters, photographs and other materials which tell compelling, personal stories. It is these stories which enable us to approach a deeper understanding of the greater issues concerning peace and war: the causes underlying the two world wars and the many other conflicts of the century; the role of governments and of war resisters in influencing public opinion; the unexpected heroism of ordinary people in extraordinary circumstances, both those who fought in and supported the wars as well as the many voices of pacifists, conscientious objectors, and others in determined opposition. The personal stories, placed within their wider historical contexts, reveal much about Peace and War in the Twentieth Century. We identify with Jane Abbott, an American visitor who recorded the tensions in Vienna at the time of the assassination of Archduke Ferdinand, soldier Gerald Blake’s casual reporting of the now famous Christmas truce of 1914, the imprisonment in Germany of English teenager William Molony during the Great War, the hopeful efforts of students at the Canadian Youth Congress in the inter-war years, the many Canadians who attended the unveiling of the Canadian National Vimy Memorial in 1936, Eric Grove’s hard-scrabble existence in a German POW camp in 1944-5, the discrimination incurred by Japanese Canadians in Toronto, the doomed humanitarianism of Alex Aronson in Iraq, and the activism of Canadian Claire Culhane in her protest against the fiasco of the Vietnam War. These, and many other stories of "ordinary" people, are presented on this site. The website also introduces more internationally prominent figures. In 1967 McMaster University acquired the archives of Bertrand Russell, the philosopher, mathematician, social reformer, and Nobel Prize winner. His archives document his controversial role as peacemaker, beginning with his imprisonment during the First World War and ending with his work in opposition to the Vietnam War in the 1960s. In 1971 the University acquired the archives of the feminist, journalist, and pacifist Vera Brittain. Her transformation in World War I from a comfortable, sheltered intellectual, intent on going to Oxford University, to a nurse attending wounded soldiers at hospitals in England, France and Malta, is inspirational. Several of our case studies touch on events in the life and times of these two outstanding individuals. In the years since the acquisition of these rich, foundational archives, the University Library has purchased and received donations of many other archives on peace and war: memoirs, collections of books and journals, trench maps, posters, photographs, music, speeches, audio-visual materials, medals and even a bomb casing! The full extent of these collections, only a fraction of which will be found on this site, is outlined here in Archival Resources. McMaster's holdings are complemented by the war-related collections held by Local History & Archives, Hamilton Public Library and the Canadian Warplane Heritage Museum, our partners in this digital project. 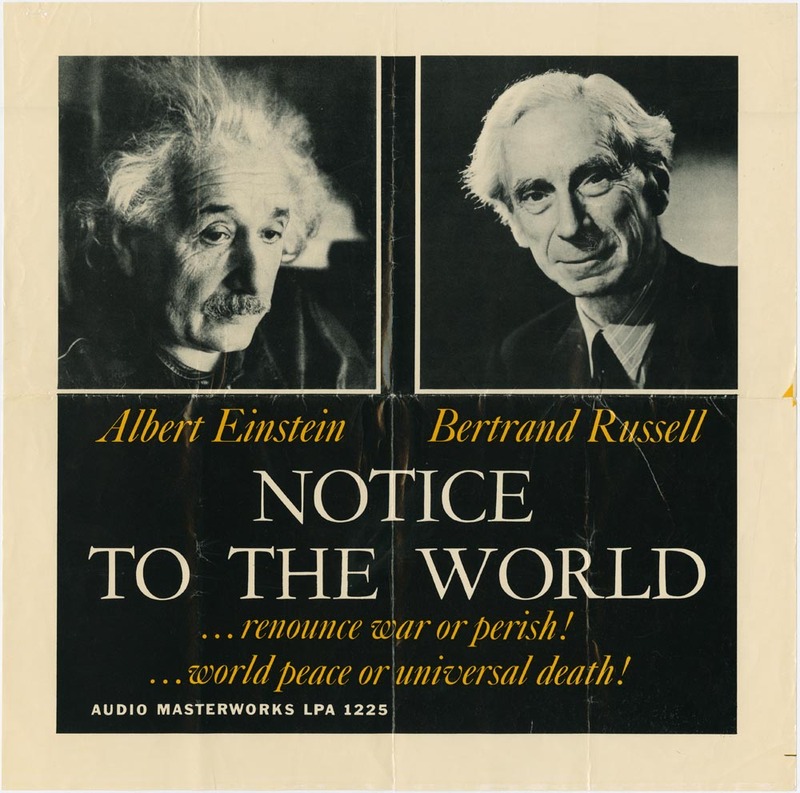 Well into old age, Bertrand Russell remained deeply engaged in waging the fight for peace. At the height of the Cold War he was responsible for an initiative which would eventually draw scientists from both sides of the Iron Curtain into the Pugwash Movement. Eric Grove was only nineteen years old when he joined the Royal Air Force and at the age of twenty-one he was flying Lancaster bombers across Germany. 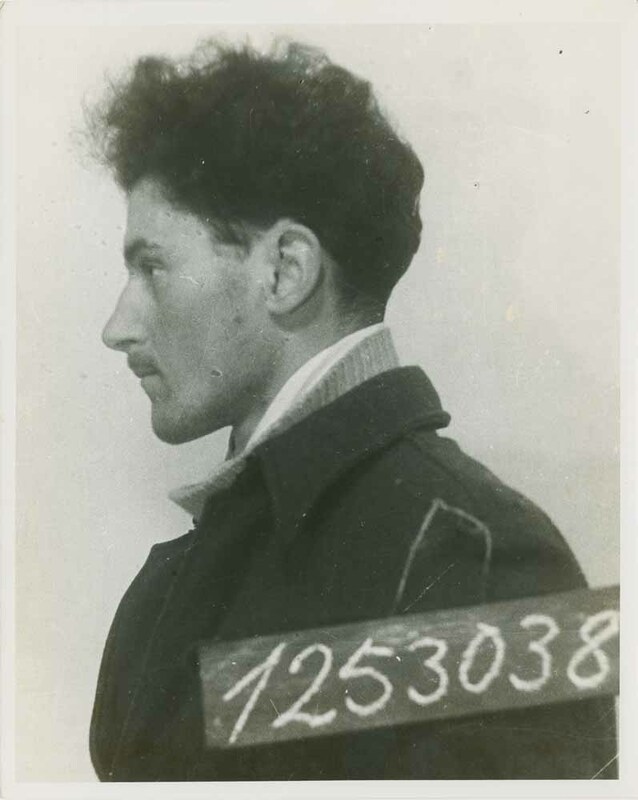 One year later, at just twenty-two, he became a prisoner of war.